Vietnamese retailers are facing fierce competition from several new foreign players in the market, who also have strong financial potential and experience. Responding to concerns about Thai commodities flooding the supermarkets, outdoor markets and convenience stores of the country, Prof Le Cao Doan from the Viet Nam Institute of Economics, said foreign enterprises from not only Thailand, but from South Korea, Japan, the United Kingdom, as well as the United States are planning to foray into the Vietnamese market. However, the arrival of the new retailers will only benefit consumers, and local enterprises might fail in this competition, Doan stated. The Deputy Minister of Industry and Trade Nguyen Cam Tu agreed, commenting during an online discussion held yesterday in Ha Noi that Viet Nam should not view the competition in a negative light. 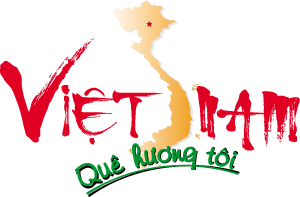 "This could be an opportunity for Vietnamese companies to access new capital, and tap new and effective management experience," Tu added. 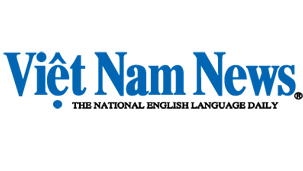 Tran Nguyen Nam, the deputy head of the ministry's Domestic Market Department, said the number of foreign firms penetrating the domestic retail market has risen sharply in the past few years with several big brands also entering the market. For example, billionaire Charoen Sirivadhanabhakdi's retail conglomerate Berli Jucker (BJC) recently announced a plan to buy Viet Nam's cash-and-carrying wing of the Germany Metro AG for 655 million Euros (US$876 million). The Central Group has two outlets in Ha Noi and HCM City and has acquired a 49 per cent stake in the company, which owns the Nguyen Kim electronic shopping centre chain. However, Thailand is not the only investor paying attention to the local retail market, as other enterprises, such as Big C (France), Lotte, Lock&Lock (South Korea) and Aeon (Japan) are also rushing to develop their retail operations in Viet Nam. Doan of the Viet Nam Institute of Economics said Vietnamese retailers lack capital and experience, and have low competitiveness. Specifically, capital has been mainly invested in State-owned enterprises instead of small entities. Dang Dinh Dao, the former head of the Institute of Economics under the National Economic University, added that the weakness of the local firms was high production costs and low quality.